Mallzee is an app combining a ton of your favorite online stores into one interface. The Tinder-style, swipe left or swipe right interface has become so ubiquitous that it’s surprising another shopping app hasn’t utilized it by now. Or maybe they have, and Mallzee is just the first to perfect it. Mallzee does what its name suggests — creates a virtual mall for people to shop at in the palm of their hand. The app combines a bunch of different stores into one interface, letting you shop up to 150 brands at the same time. The app uses the Tinder-style swiping system, presenting an item of clothing and allowing you to choose whether you want to save it for later, get rid of it, or buy it right away. It’s an effective — and addicting — new way to online shop. Because there are so many options for clothes on Mallzee, the app lets you filter based on your preferences. You can choose your gender, the types of clothes that you’re looking for, and the brands that you like or dislike. The app then creates a feed for you to swipe through, or you can click on a particular brand (just like walking into a store at the mall). 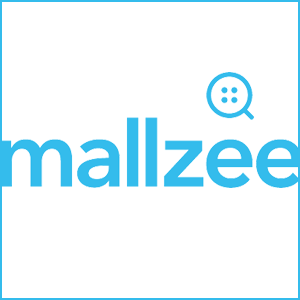 If you’re having trouble deciding what you want, Mallzee also makes recommendations based on brand or item type. You can also shop by type — like in the “Denim Shop,” for instance — in order to find a particular kind of item. There’s also the ability to have the app track prices for you, letting you know when items drop in cost. Mallzee isn’t the best shopping app out there, but it’s very well-made and has the potential to transform your online shopping experience.